BBQ Wire Netting also named Roast Wire Mesh: Wire mesh for roast is woven and welded of stainless steel or low carbon galvanized wire. It is heat resisting, corrosion resisting, nonpoisonous, tasteless and convenient for handling. It has a fixed shape and can be used to roast flour food, vegetable and meat, fish, etc. Material of Stainless Steel BBQ Wire Mesh: 201 Stainless steel wire, 302 SS wire, 304 SS wire, etc. Shape of Barbecue Net: Round, square, rectangular, curve, etc. 1. Welded crimped wire mesh on the side wire(stainless steel wire) then polished. 2. Welded Stainless steel wire on the side wire(stainless steel wire) then polished. 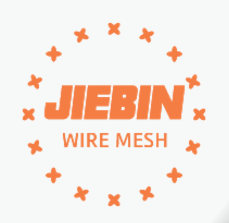 Mesh Size of Crimped wire mesh: 1.2MM or other size according to your requirement. Characteristic of Stainless Steel BBQ Netting: High temperature resistant, No deformation, No rust, non-toxic and tasteless, beautiful appearance, easy to use. Packing: 20Set per Bundle then Plastic and carton box. We offer other packing according to your requirement. FREE samples could be provided within 1-2days.